The village we live in, Heimstatt, is lodged deep in the Alps, squeezed between the cliff-like mountains and a black and glacial lake that holds many bodies and many secrets, with more of both to come. For five months of the year the winter sun never makes it above the surrounding mountain tops, and when the merest sliver of it makes its first brief gleaming reappearance each spring, the villagers all come out of their houses to watch and celebrate. The chief business of this ancient place is its ancient quarry, the chief characteristics of its inhabitants inbreeding and goiters. People were living here in the Stone Age, and some of them still are. I’m told it was snowing when I was born, and I believe it, because it’s always snowing here in Heimstatt in February. Thick silent wodges of it, filling the somber daylight with their muffling presence. The mountains that stand like grim gravediggers round the coffin-shaped valley become invisible, and you can hardly even see the lake, which is frozen solid except for the swath the ferry crunches through the ice as it grinds its way across to the railway station on the other side. Gloomy and cold—it’s not an auspicious way to start your life. 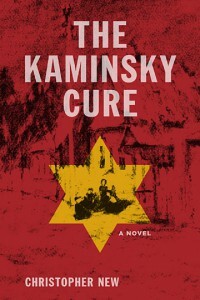 Guest blog by Richard Rashke, author of Escape from Sobibor and Useful Enemies.